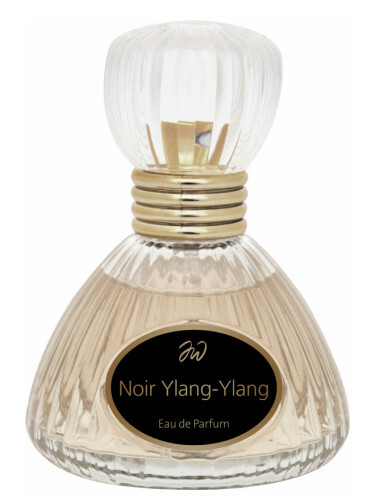 NEW: Judith Williams - Noir Ylang Ylang For Women! Thread: NEW: Judith Williams - Noir Ylang Ylang For Women! Noir Ylang Ylang by Judith Williams is a Floral fragrance for women. Noir Ylang Ylang was launched in 2017. The nose behind this fragrance is Pierre Bourdon. Base notes are sandalwood, orris root, peach, vanilla, tonka bean and white musk. Re: NEW: Judith Williams - Noir Ylang Ylang For Women! What can you tell me about this house? Love the bottle -- looks like a strapless gown from the "New Look" era of Christian Dior couture. You do? What do you think of the Carolina Herrera Good Girl bottle? As ugly and brainless as the scent it contains. All sorts of great classic references. The top reminds me of glass drawer handles from my youth, and the whole thing resembles both a shaving brush and the old bell-shaped clear glass insulators, too. I expected at least minor kinkiness in that scent. No way. Pointless. CH Men Privé was in duty-free at the same time, and was 1000 times more interesting. In person, the bottle is nearly unrecognizable, it's so ridiculous. My wife was like "Is that a shoe?" She was totally unimpressed with both fragrance and package, but she did like the CH Men Privé. The bottle and generic-looking label looks like a knockoff fragrance. It is a bit "Avon". You made me dig a little to see what is up here. She seems a bit like a British version of Martha Stewart who has gotten Pierre Bourdon to be her regular perfumer. Interesting. She certainly is attractive. She sells her skincare and perfumes on QVC UK and Germany. She does the film standing in a massive lab with a white coat thing. Another brand sold on QVC also owned by the same parent company some Mare(German guy does it)? They sell large tubs at good prices so that is why these brands are popular, all I read is, Oh, a 100mls for the price another brand sells 30mls at. Then it broke me out. Judith was an opera singer before becoming a clothing/beauty guru on tv shopping channels. I know on shopping forums many shocked she was only in her early 40s, as she dresses and styles herself more like someone in their late 50s. Due to sensitivity I have never had the urge to buy any of her ranges. NEW: Franck Boclet - Lavander, Ylang-Ylang, Geranium & Cashmere; Cocaine, Sugar & Rebel! NEW: Gelle Freres - Ylang Ylang Fatal For Women! Any good male fragrances with prominent ylang-ylang notes?